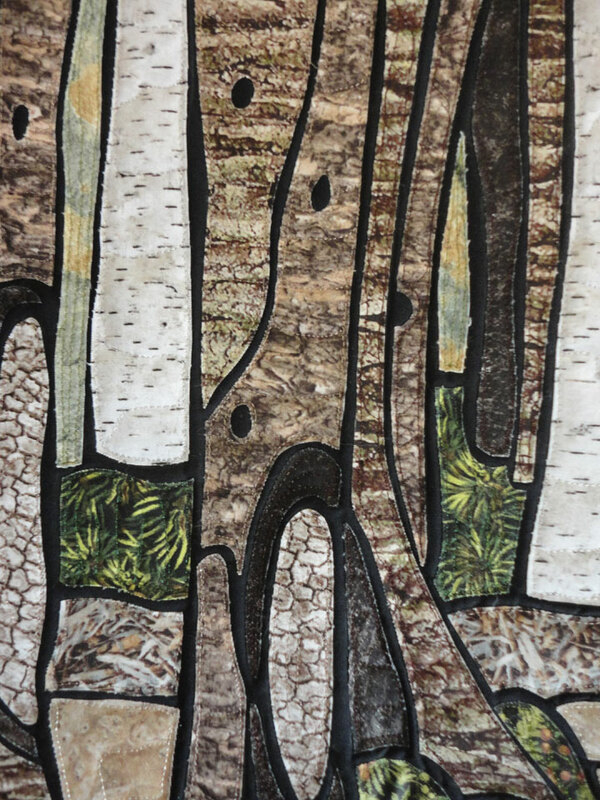 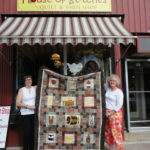 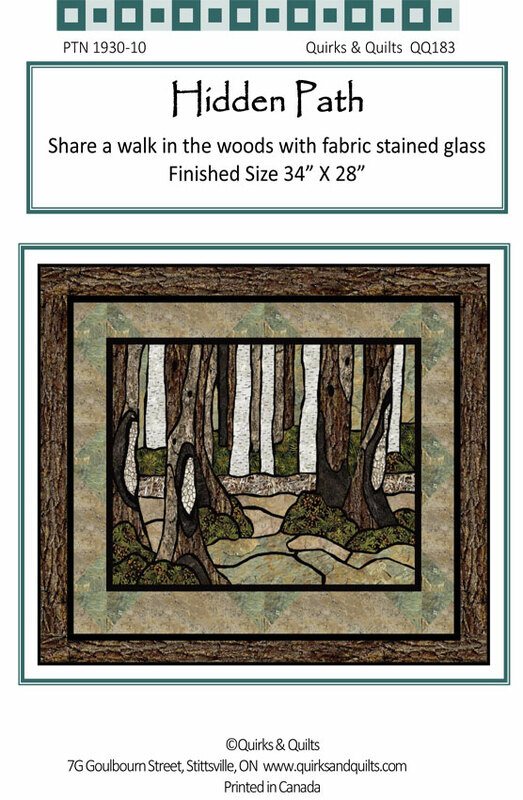 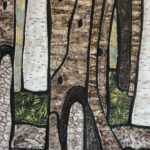 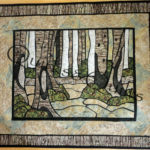 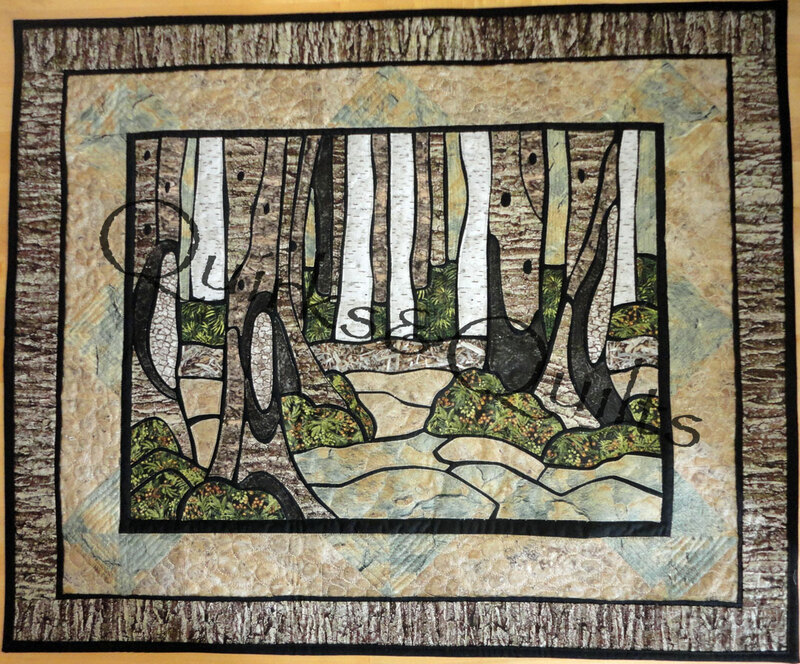 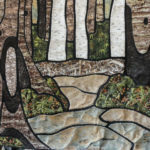 Take a walk in the woods with a fabric stained glass quilt. 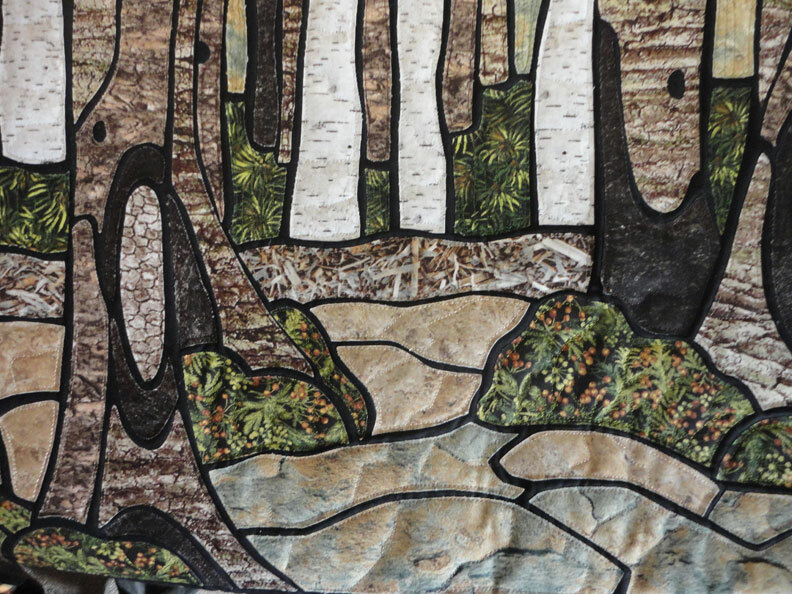 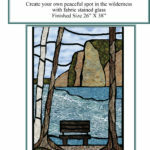 Raw Edge Fusible Applique on a black background is used to create an iconic Canadian nature scene. 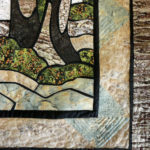 Two different finishing techniques are explained. 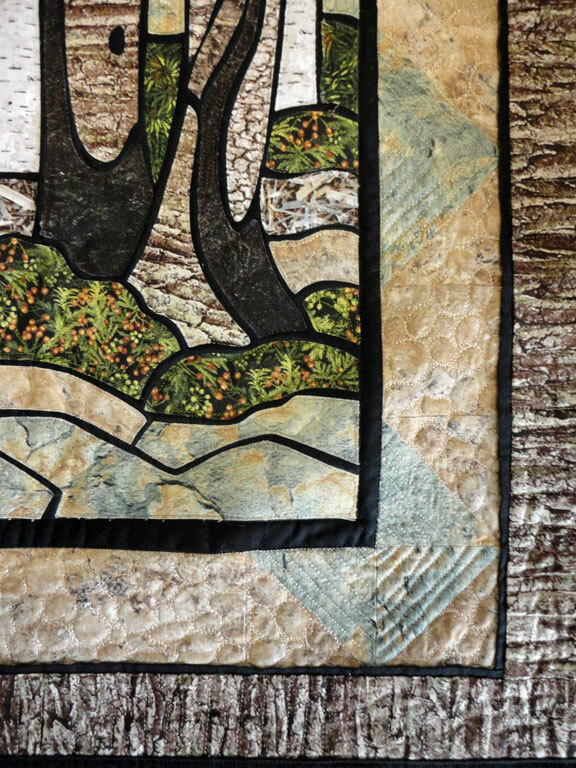 Pieced borders add a stunning finish.